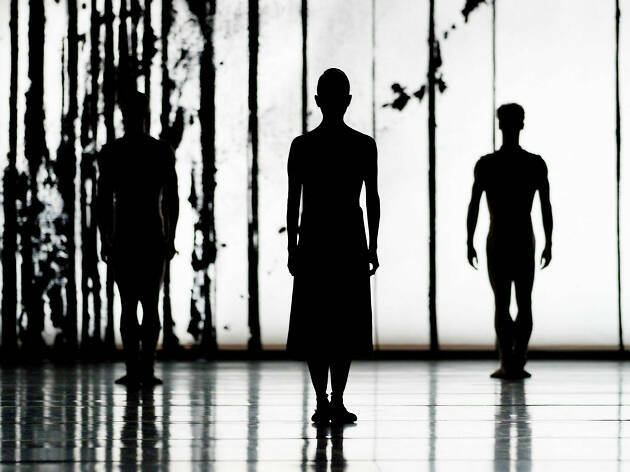 ‘Asphodel Meadows’ was the breakthrough work for the choreographer Liam Scarlett, now artist-in-residence at the Royal Ballet. It garnered praise and award nominations when it premiered in 2010; this welcome revival shows it has lost none of its appeal. There’s a deep maturity and sophistication to this short, abstract work, built around Poulenc’s tricksy, intricate ‘Concerto for Two Pianos in D Minor’. The choreography melts into this music, which swings from frantically serious to lushly romantic to jauntily sassy, mashing classical with jazz. The corps flows like water round these multiple musical themes, echoing motifs and playing with contrapuntal movement. Scarlett’s three central pas de deux, meanwhile, each draw out a different emphasis from the score. Laura Morera, who was part of the original cast, and William Bracewell are particularly affecting in the middle duet, combining impressively acrobatic lifts and holds with a touching emotional connection. Jennifer Tipton’s lighting design could be a bit less murky at times, but Scarlett’s lyrical poise and elegance always shine through. In contrast, Frederick Ashton’s ‘The Two Pigeons’ is a sugary confection from 1961 with a thinly plotted premise that seems pretty outdated now, despite the undoubtedly appealing presence of two real-life performing pigeons who steal the show at the end. It does, however, allow Lauren Cuthbertson and Vadim Muntagirov – perfectly suited partners – to have a lot of fun as the ditzy Young Girl and the grumpy Young Man, whose fractious flirtations are disrupted when the man is (alarmingly easily) lured away by the charms of a gypsy woman (the wonderful Laura Morera again on opening night). Ashton’s fiendishly detailed footwork is well-displayed here, the bird-like movements woven through the choreography are funny and charming, and the women of the gypsy camp shimmy and swirl their colourful skirts until the stage looks like an explosion in a flower shop. But you can’t help thinking this Young Man is decidedly not worth the fuss he generates.